Thin lips represent a source of self-consciousness for millions, as the world becomes increasingly obsessed with thicker, fuller and more youthful-looking lips. Along with the body’s natural ageing process, a variety of additional factors can contribute to thin lips, ranging from smoking and lifestyle habits to our very genetics. Some are born with thin lips, while others develop thin lips over time. In all instances, it’s no longer necessary to undergo extensive cosmetic surgery to correct thin lips and take complete pride in your appearance. HSA Dermal Clinic is proud to offer an extensive range of comprehensively non-surgical treatments and solutions for thin lips. From our cutting-edge facility at the heart of London, we’ve already helped thousands of clients approach their lives with newfound confidence and a smile to be proud of. Effective, affordable and accessible solutions for thin lips, brought to you by the experts at HSA Dermal Clinic. Discover the latest range of next-generation thin lips treatments and fillers in London, provided by the experts at HSA Dermal Clinic. We work exclusively with the most advanced technologies and sophisticated techniques, in order to effectively correct thin lips and misshapen lips with no surgery required. Our innovative approach to thin lips treatment and fillers in London has earned us a strong and loyal customer-base, along with an enviable reputation among specialist dermatology clinics in London. We take enormous pride in helping our clients achieve their desired appearance, without resorting to invasive surgery. Recent years have brought about such huge advances in thin lips treatments and fillers that it’s no longer necessary to undergo painful and overpriced treatments for lip correction. In a matter of minutes, you could be looking at the kinds of long-term results that make a real difference to your life quality. 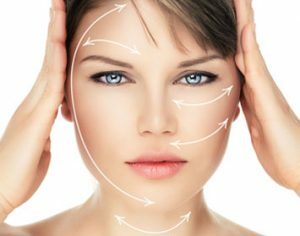 For more information or to arrange an obligation-free consultation, contact a member of the HSA Dermal Clinic team today.